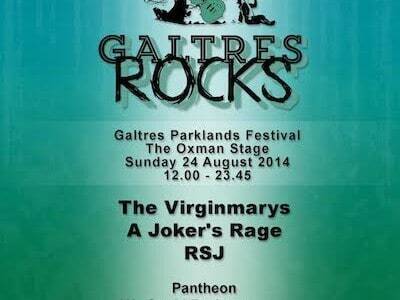 Ten top rock bands are going to kick off Galtres Parklands Festival’s tenth birthday celebrations with a blast, thanks to a new collaboration between festival organisers and Soundsphere magazine. The Virginmarys – proud holders of a Classic Rock album of the year nomination for the band’s debut LP King of Conflict – return to Galtres as rock stage headliners after a storming 2012 performance, and will be joined by A Joker’s Rage, Counting Coins, Pantheon and an eclectic selection of the region’s best rock and alternative acts, chosen by Soundsphere magazine editor Dom Smith. The ten rock bands will take over the festival’s Oxman stage on Sunday 24 August at Duncombe Park, Helmsley, presenting a high-octane alternative to festival acts such as The Human League, Levellers, Bellowhead, Public Service Broadcasting and Chris Helme. 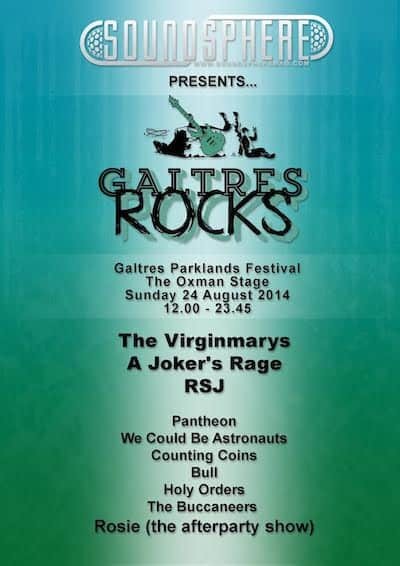 Like RSJ, We Could Be Astronauts make their first ever Galtres appearance, while the festival eagerly awaits the return of favourites We Could Be Astronauts, Bull, Holy Orders and The Buccaneers. Electro-rock party starters Rosie will round off the night in exhilarating fashion.